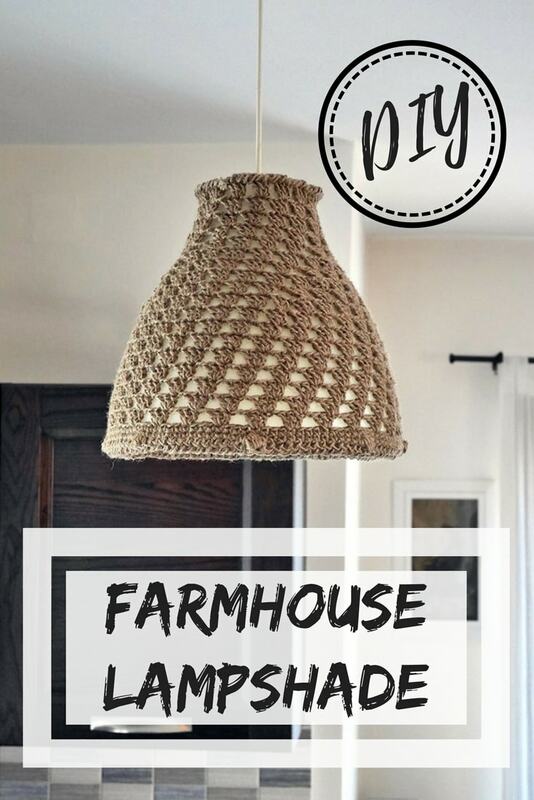 Like forever ago, I got me a big spool of jute and decided that I was going to make a farmhouse lampshade for our kitchen. After all, we’ve had this Ikea lamp for many years and it is about time to change things a bit. I like the shape of this lamp very much and wanted to replicate it. At first, I was trying to find some wires to serve as the skeleton and I would crochet around them, but couldn’t find any in the shape I wanted. After a long time and lots of frustration, I decided to crochet over the actual lampshade. Why not, since I liked the shape so much. It took a bit of frogging and remaking but I can finally say I am proud of the result. Because I crocheted over the lampshade itself, the room is a bit darker, in the ceiling area alone, but you can overcome this tiny problem with a bigger lamp. Another thought was to harden the crochet piece and then find a way to attach it. I was quite lazy for that part and decided that if at some point want more light in my kitchen I will find a way to make it work. For now, it is going to stay as is! If I ever change it you will be the first ones to know. 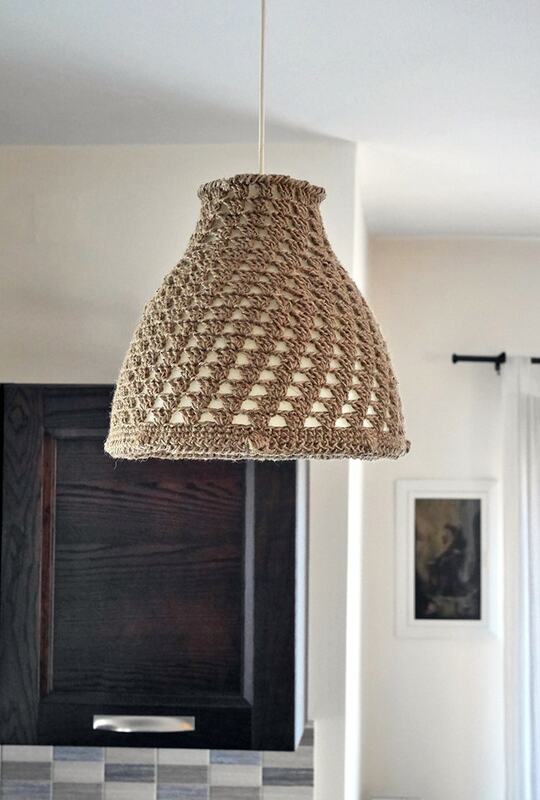 I made it with jute because I wanted to achieve that farmhouse lampshade effect that looks great in our house. 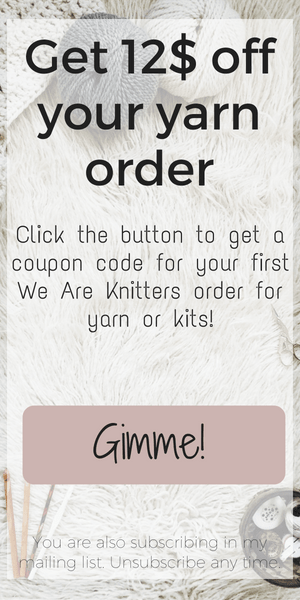 You can make yours with worsted weight yarn if you like and be sure to choose a LED light bulb that doesn’t hit up. Pro tip when working with jute: Cover your fingers in your yarn holding hand with tape on the parts where the jute rubs against them. You will thank me later! The first stitch of the pattern is worked in the same stitch as the slip stitch. A cluster is the 3 double crochets that are in the same stitch. The cluster is NOT placed in the ch1 space as usual but in the first dc of the next cluster. The reverse single crochet is also referred to as “crab stitch”, because it is like a normal single crochet but in the opposite direction. It may feel a bit strange at first. 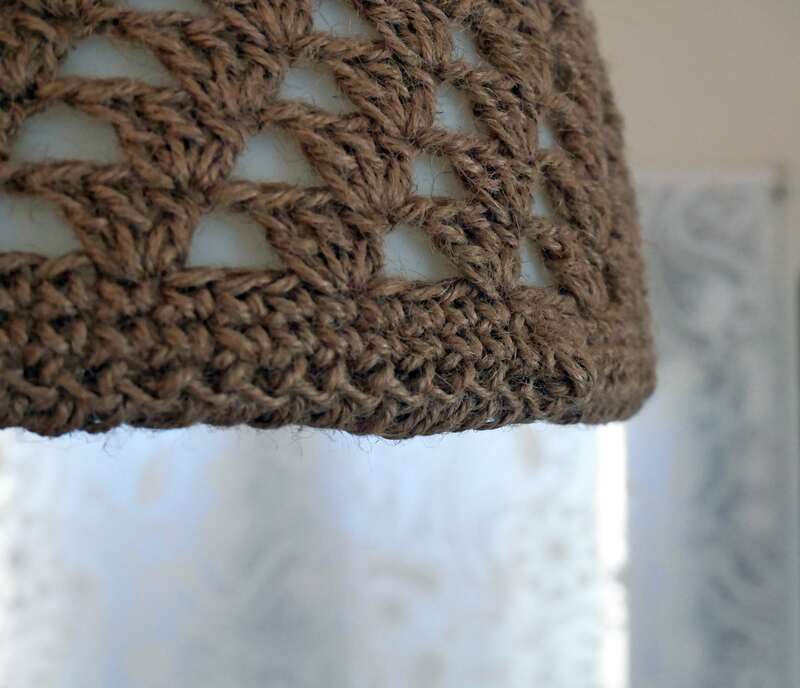 Make a reverse single crochet edging on the bottom of the lampshade, on your foundation or chain row. This gives a nice polished look to the lampshade and it helps to hold its place. That was it! A pretty farmhouse lampshade finished in an afternoon. If anyone tries to make it let me know how it went. You can tag in your photo on Instagram @mallooknitwear and also use the #malloomakers. I always love to see your projects! Was the pattern clear enough? Do you have any questions?